Features a 3 Stage Touch traditional banlers lamp. 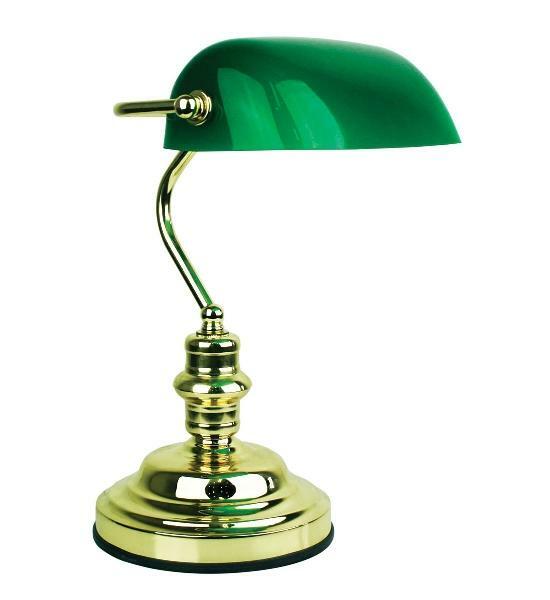 Dark green glass shade with brass metalware. Not suitable for use with compact fluro bulbs. This lamp has a stepped touch dimmer and is not suited for use with compact fluorescent lamps.